Let’s face it: loyalty marketing strategies centered around points and rewards simply don’t work. Today’s hyper-connected consumers have high expectations, short attention spans and a long list of brand suitors at their fingertips. As companies strive to stand out, they must offer more than a transactional reward. They must offer emotional value. That means being able to excite and delight customers with consistent and relevant brand experiences, wherever they are on their path to purchase. This is not to say that brand loyalty programs no longer resonate with consumers. Program memberships and retention rates are still strong, even growing in most industries. However, active participation and reward redemption rates are below 50% for most brands. Clearly, companies are struggling to keep customers engaged and active over the long term. And that’s a huge loss when brand allegiance is at stake: highly engaged consumers make 90% more frequent purchases, spend 60% more in each transaction and are five times more likely to choose the brand in the future. Taking note, brands are increasing their loyalty marketing budgets and expanding their strategies beyond traditional programs to focus on consumer experience and engagement. While the concept of engaging individuals on a more personal level is nothing new to loyalty marketers, who have relied on email-based direct marketing for years, today much of the consumer experience happens outside of the inbox on brand websites, content sites, mobile apps and social media. Creating emotional connections that build brand champions in a digital-first world requires the ability to initiate and maintain a seamless and personal dialogue with customers as they switch among these channels and devices, as well as when they change their minds. Which means marketers must be able to connect all consumer engagements — and that requires identity. By nature, loyalty programs have already provided brands with tremendous amounts of precious first-party data, most often housed in CRM warehouses. Thanks to the evolution of customer identity solutions, marketers can now integrate this offline and online data to recognize and relate to customers with immediacy and relevancy wherever they are, across all touch points. Loyalty marketers that fully leverage all of a brand’s data to resolve customer identity can apply the art and science of email marketing to addressable media campaigns. Armed with identity, marketers can amplify reach across channels, foster brand affinity, improve retention rates and, ultimately, achieve greater ROI. Remember, digital media isn’t just about buying impressions. It’s about making lasting impressions on the people who matter most–that’s how you build brand loyalty. As all marketers know, finding new customers is hard. Losing them… well, that’s easy. Consumers today demand — and expect — more personal and immediate brand experiences. Disappoint them, and they are quick to turn a blind eye: almost 80% of all consumers claim they retract their loyalty more quickly today than three years ago, and just over 60% have switched their business from one brand or provider to another in the past year. With a brand’s loyal customers so quick to cut the cord, marketers are upping their loyalty efforts. Previously, nearly 60% of Fortune 500 brands are increasing their focus on building loyalty this year. Yet as companies shift their focus toward retention and loyalty strategies, they need to remember that loyalty is not defined by program membership alone. In fact, marketers need to look at loyalty through a new lens, perhaps view the concept the other way around. Creating loyalty today is about how brands show loyalty to their customers. More than half of U.S. consumers feel more loyal to brands that show a deep understanding of their priorities and preferences, and almost 80% only consider brands that show they understand and care about them personally. This means marketers need to make the most of their data to understand the behaviors, interests and needs of their most valuable customers, and develop long-term strategies to add more value to their lives. This is where customer identity comes into play. As a strategic discipline, resolving identity allows marketers to recognize actual individuals — not just the devices upon which they are most likely to be — at every touchpoint and store all this information in a record, or customer profile, that can be used for analytics and media targeting. Unlike the digital strategies of yesterday, identity resolution is not reliant on web-based cookies, which expire, can be deleted and don’t always work in the mobile environment. Instead, identity is powered by persistent customer profiles that are rooted in first-party data, and that continually update as individuals switch among channels, platforms and devices. A customer identity asset as such allows marketers to craft meaningful 1:1 interactions at critical moments throughout the brand relationship. Fortunately, when it comes to resolving identity, loyalty marketers have a leg up. Many just haven’t taken the next step forward. Between their decades-long investment in CRM systems, their POS data and their rich stores of loyalty membership data, loyalty marketers are already privy to a brand’s greatest marketing asset: first-party data. By being able to upload this offline data to the online environment, marketers can identify customers wherever they are across the web and mobile, and connect with them via addressable media campaigns. Even more, if marketers work with a real-time customer identity solution, they can harness real-time signals and deliver pertinent messages, offers or rewards. This not only enhances consumer experiences, it eliminates waste targeting the wrong people — or, just as bad, targeting the right people with the wrong messages at the wrong time. Technology has not only changed the buying power of consumers, it’s changed what they want, think and expect. People desire intimate and significant moments, not just materials. Which means the first order of business for marketers is selling experiences. For every dollar invested in improving the consumer experience, businesses see a threefold return, some industries even more. Companies who prioritize experience have seen a 58% increase in customer satisfaction and a 45% increase in loyalty over the past 12 months and expect a 60% increase in satisfaction and 70% increase over the next two years. By creating genuine, intimate brand engagements customers feel more valued and, as a result, bring more value to the brand. For loyalty marketers, taking advantage of a brand’s first-party digital data is key to creating the type of seamless and personalized experiences that can take customer relationships to the next level. People consider every brand interaction — from email received to research completed to purchases made — as part of their relationship with a company as a whole. And they expect the brand to know who they are and react appropriately to their every interaction. But how can a company maintain a cohesive and engaging customer experience if they don’t have a complete picture of each person’s online and offline behavior and intents? Armed with just a partial profile, marketers miss out on opportunities to tailor communications or, even worse, they send out inaccurate or conflicting messaging. Sending an email promoting a product that person already purchased is pointless, wasteful and annoying. Plus, while some shoppers would prefer if salespeople knew about their online activity for better service in the store, many expect in-store employees to already know about their online interactions with the brand, including if they have an account or have made a purchase. Rightly so — they’ve logged in or directly provided transactional information at this point. And let’s not forget, a disconnected experience isn’t trackable. Which means crucial data gets overlooked and marketing performance cannot be accurately measured. This leads to poor conversion rates, wasted ad spend and a less-than-stellar ROI. With a customer identity solution, loyalty marketers have the ability to make more of their data actionable, create more engaging experiences, inform more efficient strategies and drive more measurable outcomes. 1. Create powerful experiences across channels. While the emergence of the web, mobile, social and, increasingly, the Internet of Things has simplified the way people communicate, it’s certainly made the process of communicating with them more challenging. Consumers don’t think in terms of channels, so neither should the brands that engage with them. 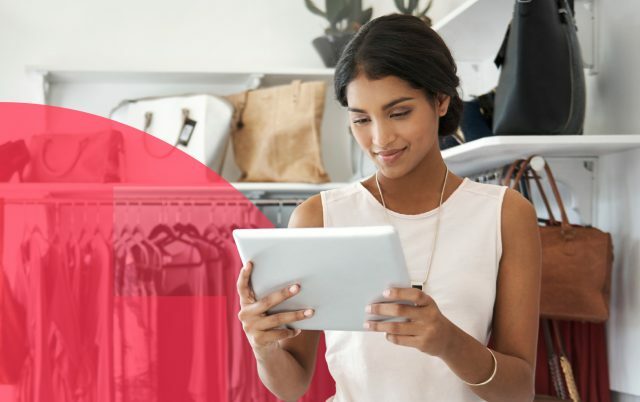 By leveraging their rich stores of loyalty data beyond traditional email and direct-response channels and into the digital space, marketers can devise addressable media campaigns that speak to customers in the same voice and continue the same conversation as they journey across time and touchpoints. 2. Wow customers with relevancy. Remember, consumers are human. They like being made to feel special, like someone took the time to really get to know them. Recognizing customers at every stage of their buyer journey allows brands to offer customized and informative content, not just marketing messages or rewards, at appropriate times. Any chance to make their lives easier with insightful and valuable experiences goes a long way toward winning their hearts. Sending a postpurchase email is expected; serving helpful information throughout the decision process is thoughtful, personal and builds brand affinity. 3. Reward at the right moment. No one likes to wait weeks, months, even years to accumulate enough points to redeem rewards. Quite frankly, they can look elsewhere for immediate satisfaction. Redemption rates for real-time rewards can run as high as 80%, a figure that drops in half when offered in a follow-up email two hours later. With a real-time customer identity solution, brands will know when members have taken action and can reward them with the right type of value at just the right time. 4. Make brand loyalty programs worth it. Nearly two-thirds of loyalty program accounts are inactive, often within the first year of signup, mainly because of inadequate customer experiences. If people are going to take the time to sign up, log in and give brands their personal data, they want more than a membership program that rewards the highest spenders. Perhaps their shopping habits are seasonal, so time-sensitive rewards are not compelling. Or maybe they’ve recently made a large purchase, so the thought of spending more to earn more isn’t enticing. Armed with customer identity, marketers can discover the behaviors of the casual or even lapsed customers and create differentiated programs to engage them. 5. Delight and incite more customer engagement. Being able to track customer activity across channels and devices opens up prime opportunities to upsell, cross-sell and enhance brand experiences. Identifying when someone is in research mode or has just made a purchase, marketers can increase spend and engagement based on known preferences or information housed in a brand’s membership database or CRM system. If a customer purchases a family vacation package, an upgrade to a suite, a spa getaway or a chance to earn points through a travel rewards program are all thoughtful and valuable offers that can help a brand extend the relationship and foster loyalty. Fostering brand loyalty and retention among today’s digital-first customers is a much more complicated undertaking than even a couple of years ago. Continual advancements in technology have created a culture of device-hopping, demanding and fickle consumers. Brands that fail to engage them in just the right way, at just the right moment, are quickly replaced by competitors who can. And, yes, that includes people who have taken the time join a brand’s loyalty program. Why? Because people want rewarding experiences, not just rewards. Anyone can offer points. But if they sit unused… then what’s the point? With a customer identity solution, marketers have the ability to do so much more with their data. They can build long-lasting, loyal relationships — not just “memberships” — by delivering highly personalized, valuable and unique brand engagements at the appropriate time. Sure, the data strategies and technologies required to do so are complex. But there can be a simple solution. By working with a single, real-time customer identity solution, loyalty marketers can reap the rewards of the digital journey.